RE-APAGA, Armenia’s first Electronic-Waste recycling campaign, initiated by UWC Dilijan College student, Cedric Solms, kicked-off in the resort town of Dilijan, Armenia. The mission of Re-Apaga Charity Foundation is to set Armenia as a role model of sustainability in the world by eliminating Electronic-Waste, raise public awareness of its harmful environmental effects and help create Armenia’s first Electronic-Waste dismantling and recycling center to contribute to economic development and job creation. The campaign has gained support from: UWC Dilijan College, Shirak Tours, Dilijan Mayor’s Office, the German Embassy of Armenia, Dilijan Community Center, and Solms Consulting, providing a range of opportunities for the greater Dilijan Community and many UWC Dilijan students who have joined the campaign. Among the newly elected Board of Trustees of Re-apaga are philanthropist Veronika Zonabend and the German Ambassador to Armenia, Matthias Kiesler. “We are sure that this joint collaboration will become a critical platform for establishing a more environmentally sustainable Armenia as we aim to free the country from the most harmful trash: Electronic-Waste while creating job opportunities for a sustainable 21st century Armenia,” said Re-Apaga founder, Cedric Solms, a second year student from Germany, currently studying at UWC Dilijan. “This pioneering campaign, spearheaded by a group of UWC Dilijan students, underscores the very essence of a UWC educational philosophy — uniting people and nations to build a sustainable future, “ said Veronika Zonabend, founding partner and the Chair of the Board of Governors of UWC Dilijan College in Armenia. “Our young students have identified the problem of harmful Electronic-Waste in Armenia and suggested an innovative solution, which reflects the results of educational approach when theoretical knowledge is implemented into the practice. This is an important initiative for the whole society and we are eager to support similar initiatives”. Following the first meeting of the Re-Apaga Board of Trustees, it was decided to expand Re-apaga in Vanadzor and the entire Tavush Region seeing a tremendous need in educating Armenia’s youth about the importance of sustainable development for the country’s prosperity in the 21st century. 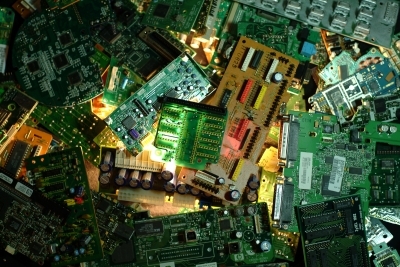 In addition to initiatives in raising public awareness, the Board voted to create Re-apaga corps – groups of volunteers to carryout the collection of e-waste and help to create the first Electronic-Waste dismantling and recycling plant in Armenia. In its efforts to raise public awareness for social change on Electronic-Waste problems across Armenia and initiate wider youth involvement, Re-apaga launched, with the help of Dilijan Community Center, its first online creative writing contest for 12-18 year-old change-makers and “Future leaders of the great Armenia”. The contest sought to gain insight from the youth on such issues as making Armenia a role model of sustainable development, ways to discard Electronic-Waste, and even challenged them to offer plans for an environmentally sustainable Armenia if they were elected president. Top essay winners will be awarded prizes for offering the best solutions for Electronic-Waste recycling and leading Armenia towards zero Electronic-Waste status. Re-apaga will disseminate informational videos and presentations to local businesses, schools and the general public. In addition to collecting and storing the Electronic-Waste, Re-apaga will initiate collaborations between the public and private sectors to instill Electronic-Waste collections and ultimately establish a recycling center for proper dismantling and recycling of the collected items. According to the latest report by Research and Markets, the market size of waste heat recovery system (WHRS) is projected to reach USD 65.87 billion by 2021, at a CAGR of 6.90% between 2016 and 2021. European countries are improving their methods to prevent household trash and other municipal waste from ending up in landfill sites. 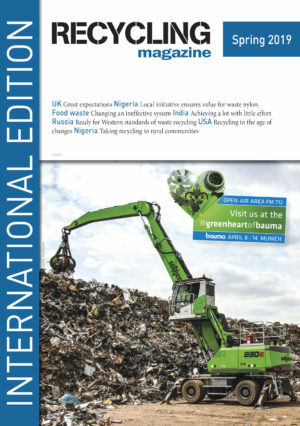 Recycling rates, in particular, have increased considerably across Europe over the past decade, due in part to European environmental policies, according to a new European Environment Agency (EEA) assessment.